I am now located in Aylesbury, Buckinghamshire within 20 minutes of the M25/M40. 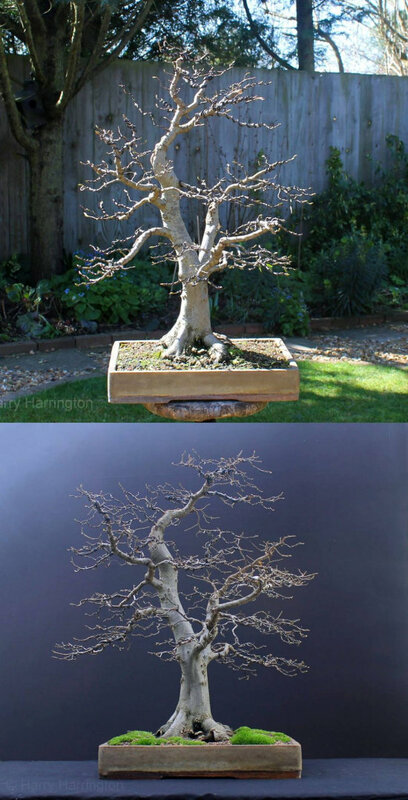 I am now available for bonsai lessons and bonsai services in my garden and locations within approximately 50 miles of Aylesbury, Buckinghamshire. This includes areas such as London, Middlesex, Buckinghamshire, Oxfordshire, Bedfordshire, Hertfordshire, Northamptonshire, Cambridgeshire and Surrey. Prices are charged by the hour at very competitive prices and all services are available 7 days a week. 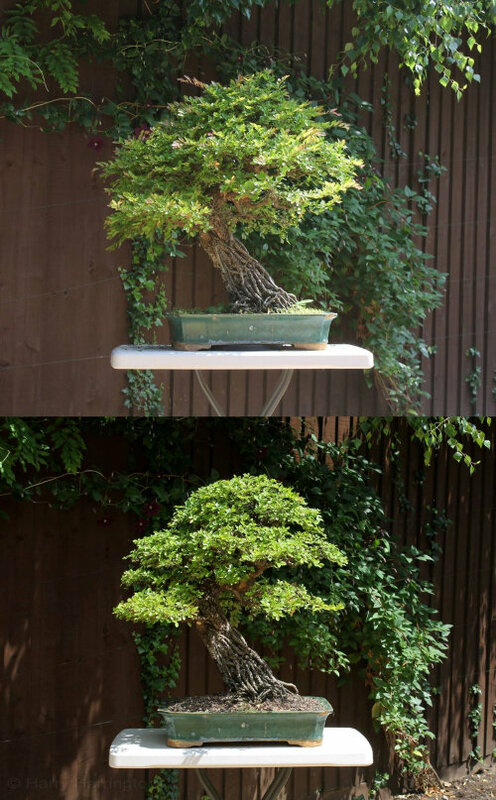 I offer a complete styling service for bonsai of all stages, sizes and quality. Styled by myself, trees can be brought to me for a range of services including carving, repotting, wiring and styling or refinement. 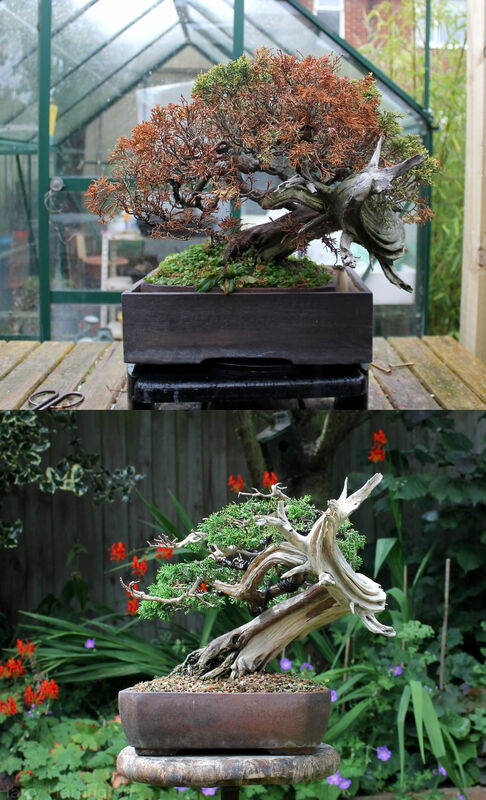 Styling and/or carving generally takes 2-3 weeks before the bonsai is ready to be picked up or shipped. I have a secure garden as well as heated polytunnel and greenhouse to ensure the health and the security of your tree. Styling work carried out in this manner is far less stressful to the tree than at a demo or one-day lesson and always results in a superior end-product. I am able to accept bonsai shipped to me from around the UK and Europe; completed trees are returned in purpose-built wooden-framed boxes to ensure they arrive in excellent condition after styling. Styling charges range from just GBP£100 to £300 for the most complex styling and carving jobs, and I offer guaranteed quotes, based on the estimated amount of time for the work to be carried out and any materials required. This gives you the peace of mind of knowing the maximum cost before I start. 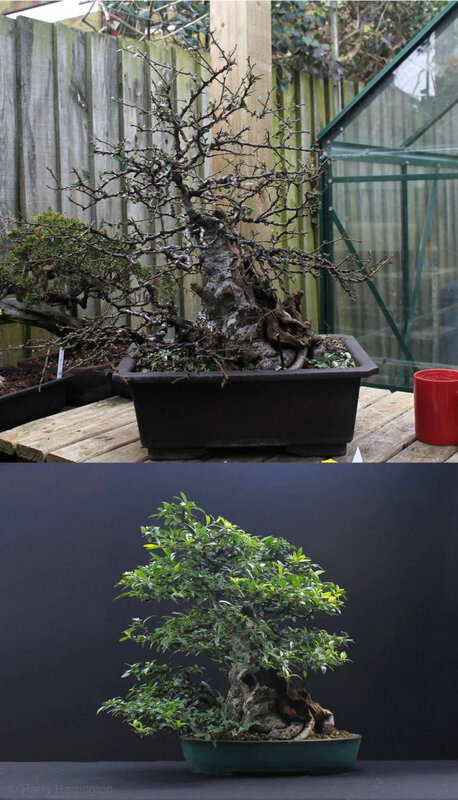 Bonsai design and styling carried out by myself on your raw material or bonsai; bring out the very best in your trees! 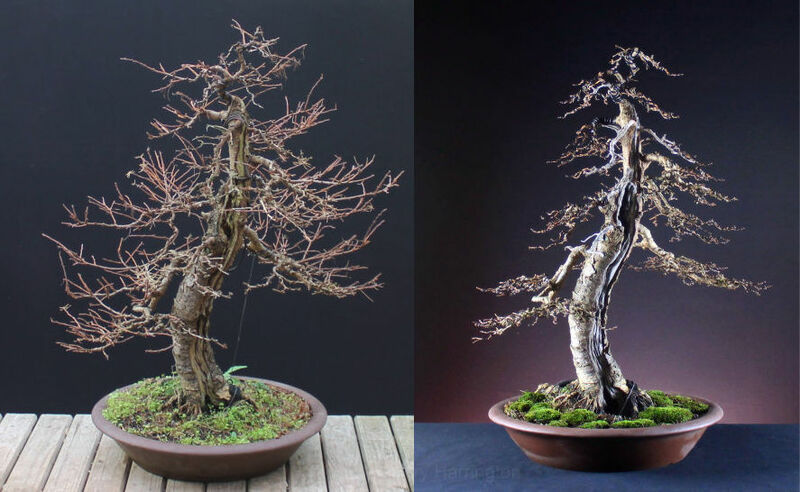 Trees can be styled by myself or we can work together in the form of a lesson so that you can learn to design and style your bonsai for yourself as I work. Lessons are informal and are by far the easiest way to learn bonsai. All levels of bonsai and bonsai material is catered for. From basic trimming or wiring to carving and grafting. I offer guaranteed quotes for all work, based on the estimated amount of time the work will take and any materials that are required. This gives you the peace of mind of knowing the maximum any work will cost before I start. For lessons or one-to-one sessions in your garden: GBP£30.00 per hour plus travel expenses.